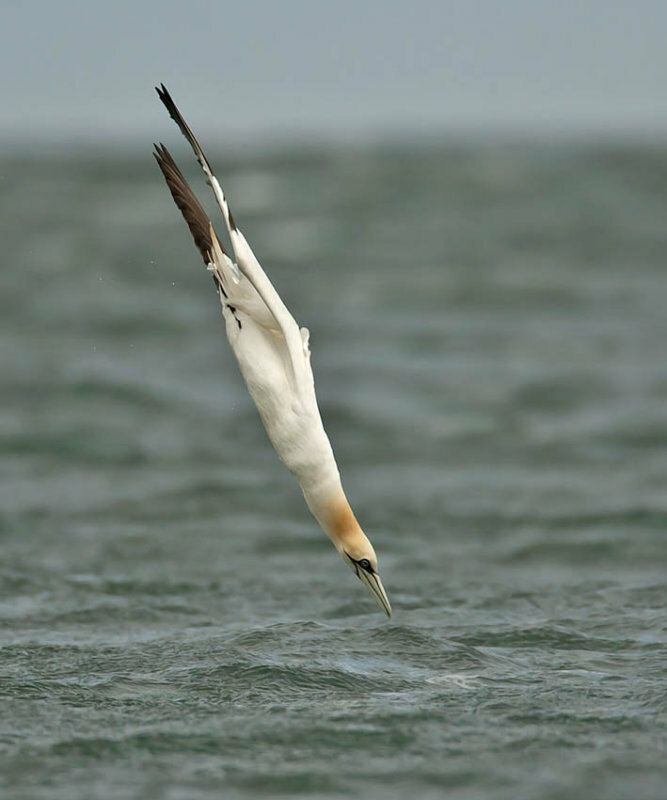 Gannet diving – how streamlined can you get? This afternoon we had 17 degrees. A sad testament to the summer we are having that I need to point this out. At least we had a beautiful day today. And this evening was a perfect Crail moment. Still sunny, a bit of a breeze and the gannets coming in close to fish. Nothing beats the drama of gannets plunge diving. A gannet beating steadily along will start to slow and spread its wings before turning itself into an arrow. Before you have even registered this it has disappeared into the water tens of meters below. The speed and force with which they hit the water is incredible. They were close enough in tonight that we worried that they might hit a rock just below the surface. I suspect they know what they are doing although I have read reports of gannets getting it wrong and breaking their necks hitting fishing boats, driving their bills so deeply into the deck that they couldn’t be pulled back out without tools. Gannets are a star Crail bird and we are lucky to have this spectacle every day, even if they not always so close in. 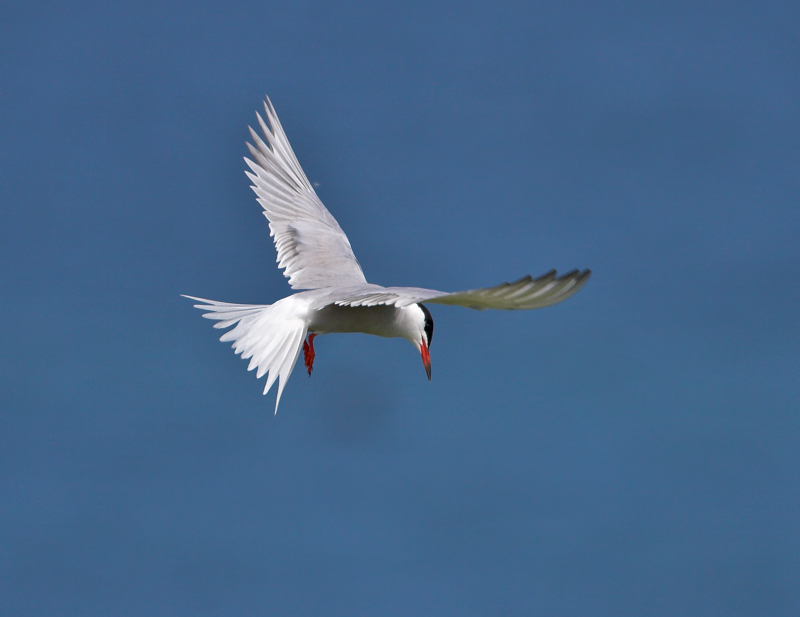 There was a common tern fishing in Roome Bay this evening. They have been scarce this year and in fact this is my first for the year for Crail. Chance or indicative of something?